The Lewis’s Woodpecker can be found throughout the western United States, west of the Great Plains, in open forests ranging in altitude from low-elevation riparian areas to higher-elevation burns and pine forests. In Canada it is restricted to the southern interior of British Columbia. Lewis’s Woodpeckers require well-decayed snags for nesting, as they are less well-equipped to excavate cavities compared to other woodpeckers. 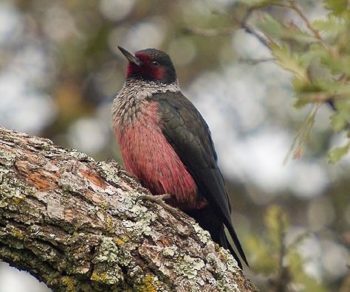 The declines in the Lewis’s Woodpecker population are consistent with heavy loss of ponderosa pine habitat in Arizona, British Columbia, Oregon and Washington due to fire suppression, intensive grazing, and logging. 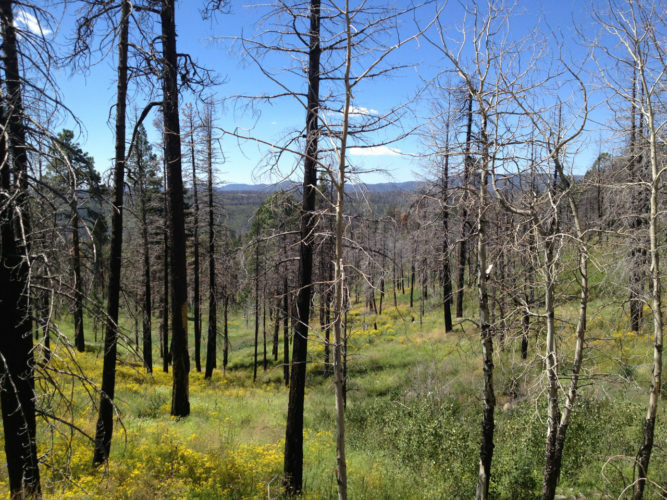 Lewis’s Woodpeckers require crown-burned ponderosa pine forest for nesting, and changes to the frequency and intensity of fires has degraded existing habitats. In British Columbia, where the population is federally threatened, the primary threat to breeding is habitat loss due to urban and agricultural development, removal of snags, firewood cutting, and pine beetle outbreaks. In addition, competition for nest sites by European Starlings and changing forest conditions due to forest in-growth have contributed to their decline. In U.S., 46% of population breeds on public lands, 23% on U.S. Forest Service lands. Abele et al. 2004. Lewis’s Woodpecker (Melanerpes lewis): a technical conservation assessment. Vogeler et al. 2016. Mapping suitable Lewis’s Woodpecker nesting habitat in a post-fire landscape. Toweler et al. 2012. A risk-based approach to evaluating wildlife demographics for management in a changing climate: a case study of the Lewis’s Woodpecker. Zhu et al. 2012. Habitat selection and reproductive success of Lewis’s Woodpecker (Melanerpes lewis) at its northern limit. Altman 2011. Historical and current distribution and populations of bird species in prairie-oak habitats in the Pacific Northwest. Newlon 2011. 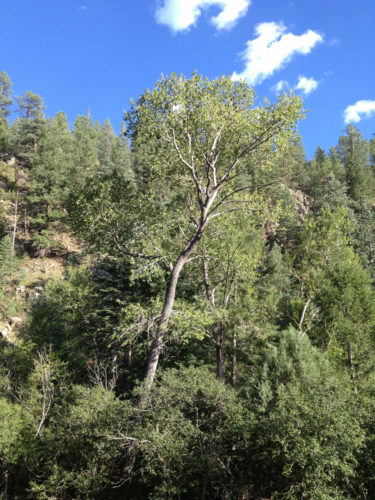 Nest site selection and nest survival of Lewis’s Woodpecker in aspen riparian woodlands. Saab et al. 2007. Nest densities of cavity-nesting birds in relation to postfire salvage logging and time since wildfire. Klamath Bird Observatory and Lomakatsi Restoration Project. 2014. Restoring oak habitats in southern Oregon and northern California: a guide for private landowners. Environment Canada 2014. Management Plan for the Lewis’s Woodpecker (Melanerpes lewis) in Canada. Alman and Stephens 2012. Land managers guide to bird habitat and populations in oak ecosystems of the pacific northwest.